Forgotten Field is an apt name for the lovely little meadow at the end of Graham and Brenda Gough’s farm at The Park, Martletwy. This has escaped the plough, fertilizer applications and drainage works and, as a result, is a rare relict of the kind of old grassland that once would have been common-place on the Pembrokeshire coalfield. We sometimes get a late harvest of seed from the dry part of the field here, rich in grasses and wildflowers. This would be especially suitable for meadow restoration projects on neutral soils, where soil fertility has dropped but wildflowers have yet to appear in strength. 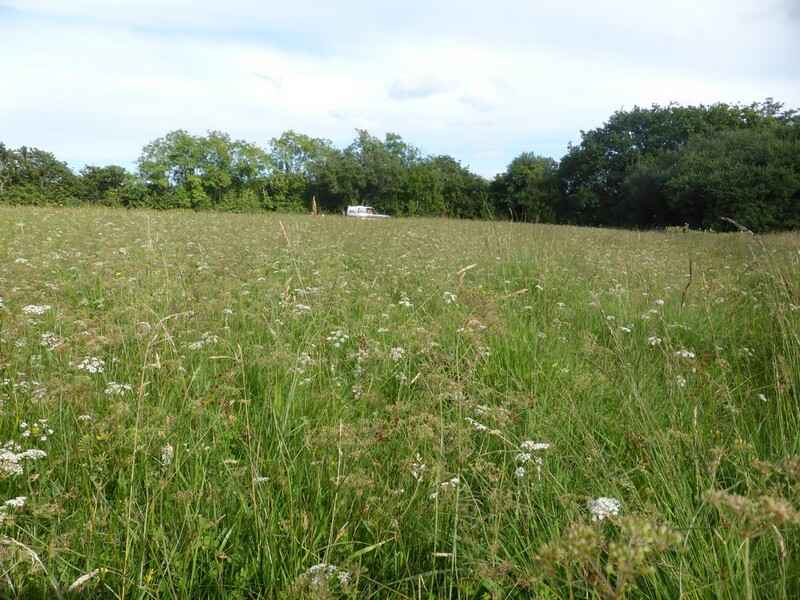 We also get a small amount of seed from the damp area, rich in whorled caraway and various sedges, which would be appropriate for wet grassland restoration projects.